Opportunity Works places young adults in subsidized internships, exposing them to viable careers in a variety of sectors. More than 33,000 young adults are disconnected from both work and school in suburban Cook County. At the same time, many employers report a shortage of skilled workers. Opportunity Works trains participants and connects them with businesses that are looking for new employees. If you are selected for this program, you will participate in a paid internship that will expose you to exciting careers that you may not have thought about before. Opportunity Works will also connect you to the resources you need to get a good paying job. 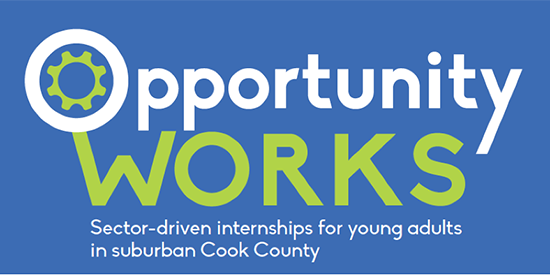 Interested youth can fill out the Opportunity Works application online. To learn more, call (312) 603-7092 or visit the Opportunity Works website.